The Designer Crystal Floral Candle piece can act as a single item potent enough to up the appeal of the entire room décor. 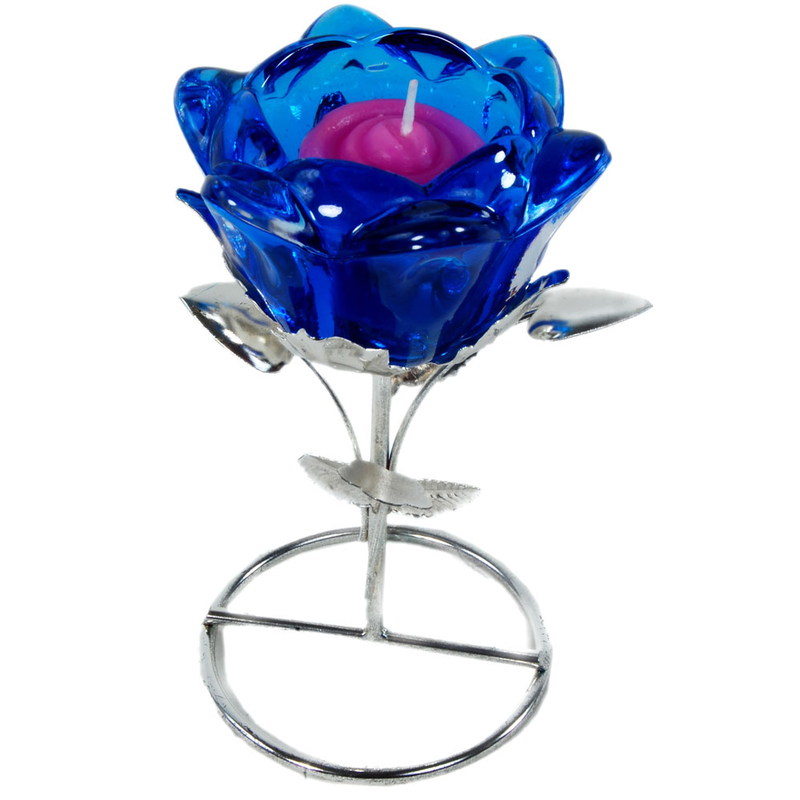 In fact, Read More..the blue shade of the crystal floral piece holding the pink candle in its bosom makes for a truly inspirational addition to any room. The silver colored stem augments the rich shade on the top part of this piece, and makes it a sight to behold for all those present in its vicinity. Finally, this unique piece can also serve as a great choice for gifting to others, in addition to bringing it home to light up the interiors. Show Less..